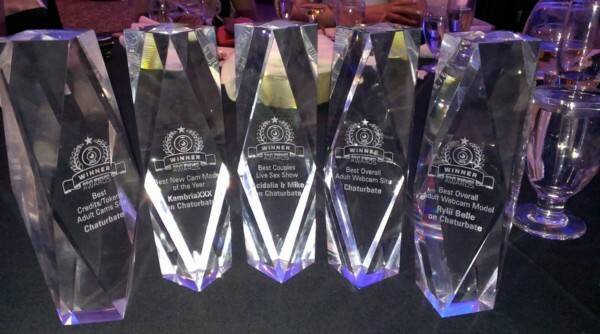 Chaturbate took home the most awards with wins in 7 categories. Congratulations to all the winners and nominees in the 2015/2016 Adult Webcam Awards. Thank you again to our all our sponsors! The awards show sold out and extra seating had to be added to accommodate all those who wanted to attend. Likewise the 2-day professional conference leading up to the awards show was a huge success and Day 1 sessions centered around the live webcams business were standing room only. Stay tuned over coming months for exciting announcements on the 2nd Annual Adult Webcam Conference and Awards show. In the meantime visit the top models and adult cam sites of 2016 as featured throughout Adult Webcam Awards. Thank you to all the nominees.